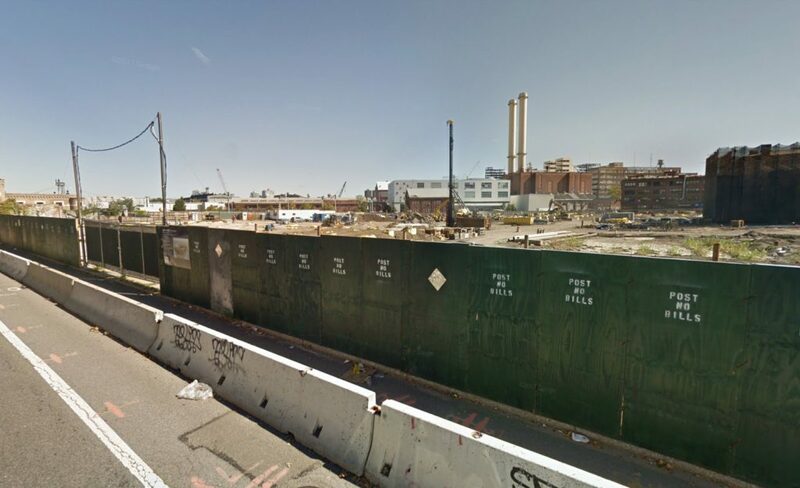 Permits have been filed for a nine-story mixed-use building at 399 Sands Street as part of the Brooklyn Navy Yard redevelopment. Nestled between the Manhattan Bridge and the Williamsburg Bridge, the area is being reinvented under the helm of Steiner NYC, into a multi-use commercial hub accessible to the public. YIMBY last reported on this site when three permits were filed for the project in June 2016. Back then, 399 Sands Street was not yet in the picture. Dattner Architects is responsible for the design, which looks to be made of concrete, with greenery on its roof. The new structure will yield 412,030 square feet of total area, with floors five through eight of approximately 43,000 square feet each, dedicated to light manufacturing, and the ninth floor of 43,000 square feet dedicated to creative office use. Floors one through four will be largely devoted to parking. The structure will have a total capacity of 430 vehicles and 46 bicycles. The remaining five floors will be entirely dedicated to light industrial use. 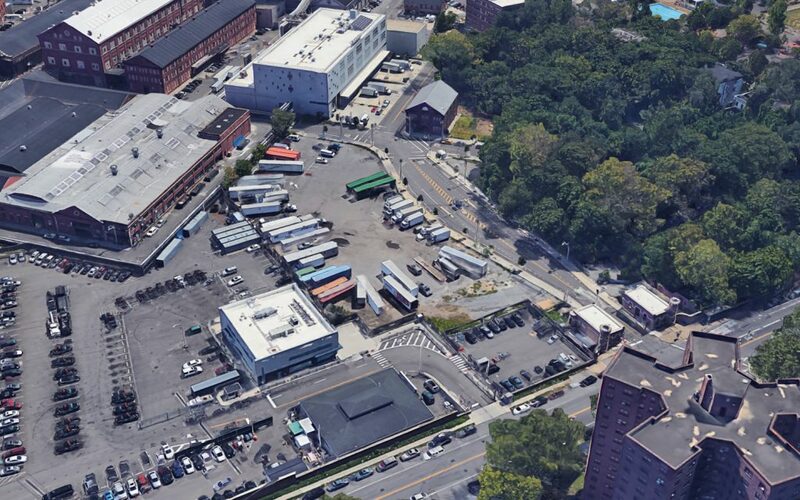 The property is currently an undeveloped parking lot next to the NYPD Brooklyn Tow Pound Facility. The facility will remain in place as development begins. Construction on Admirals Row, also by Steiner NYC, is underway across Sands Street, along Navy Street and Flushing Avenue. 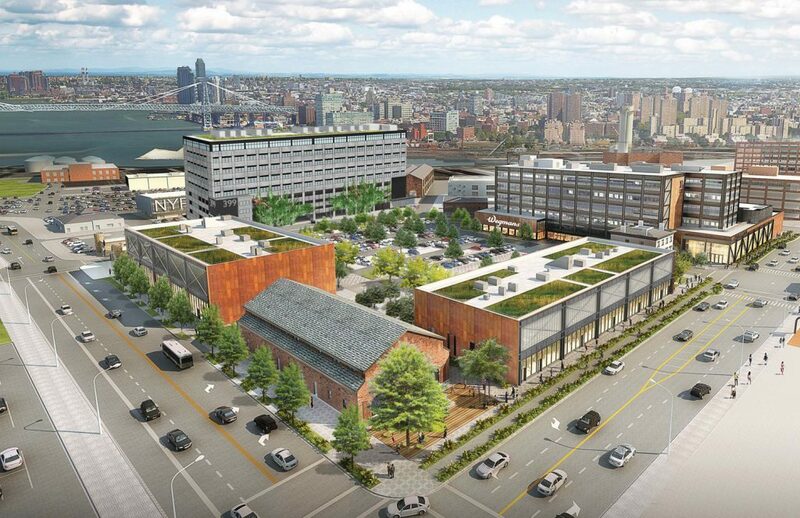 The project will feature the first Wegman’s supermarket in NYC at 75,000 square feet, 90,000 square feet of other retail, and 130,000 square feet of light industrial space. 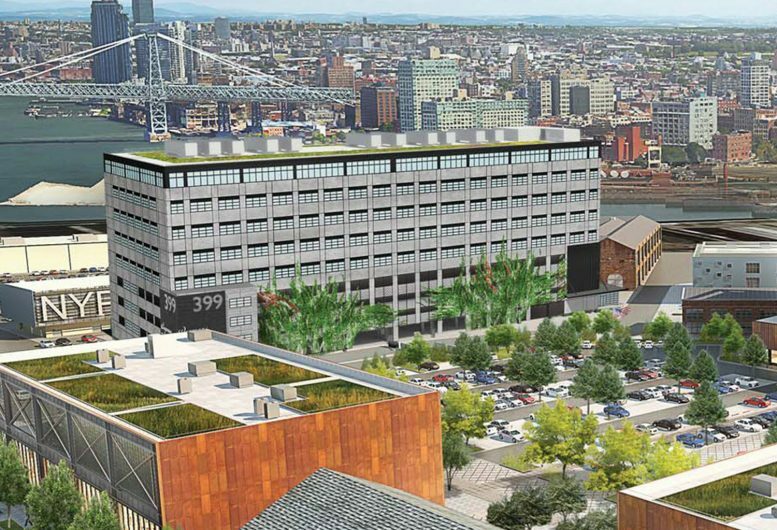 The estimated completion date for 399 Sands Street has not been announced. 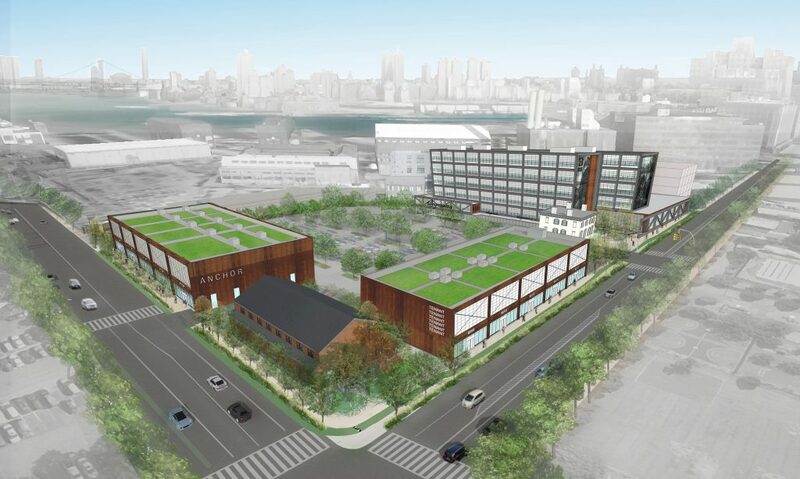 2 Comments on "Rendering Revealed, Permits Filed for 399 Sands Street, Brooklyn Navy Yard Industrial Park"
Please pardon me for using your space: It is helpful for the ground as new properties.